Our customer in this case study produces ABB installation boxes, being a well-known concept in the installation world for years. ABB offers a wide range of flush-mounted boxes. 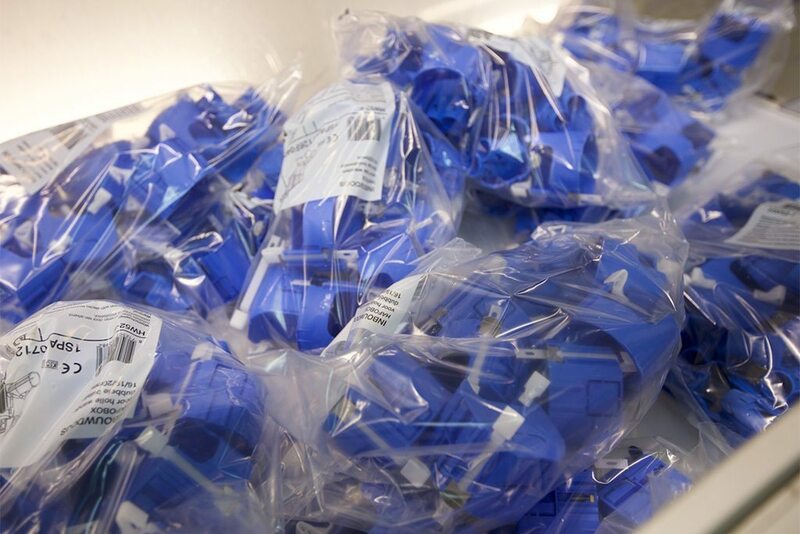 The customer was looking for a machine to pack several installation boxes in a LDPE perforated bag printed with a white square. bags per minute. Our sales team visited the production plant, to get a better understanding of the production process and requirements. able to work with tubular film and easy to fit in the total production line. This specific Speedpack machine is equipped with heavy procuct clamps, bag stretchers, bag support with lift, bag-open sensor, photocell for printed film, end of film sensor and a handshake for the central safety circuit. The bag size is 270x 500 mm. 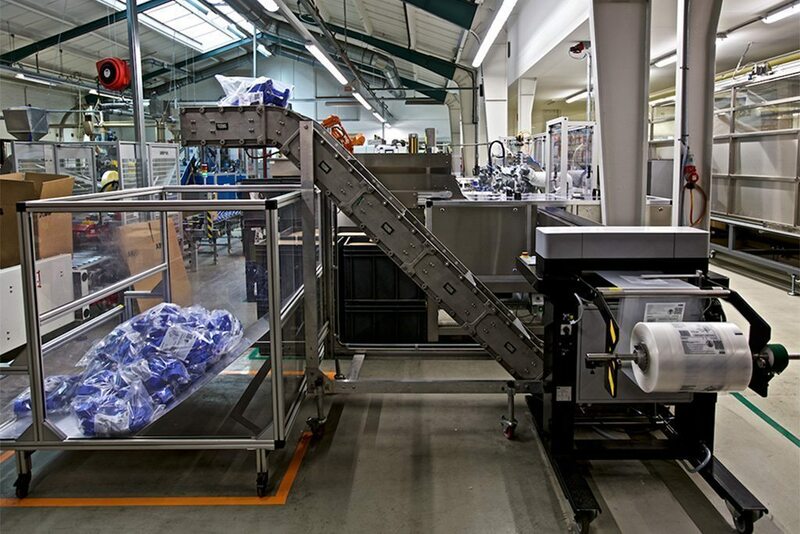 The packaging process is monitored by an operator who is in charge of the complete line. The packed products are transported away from the machine to a storage bin.